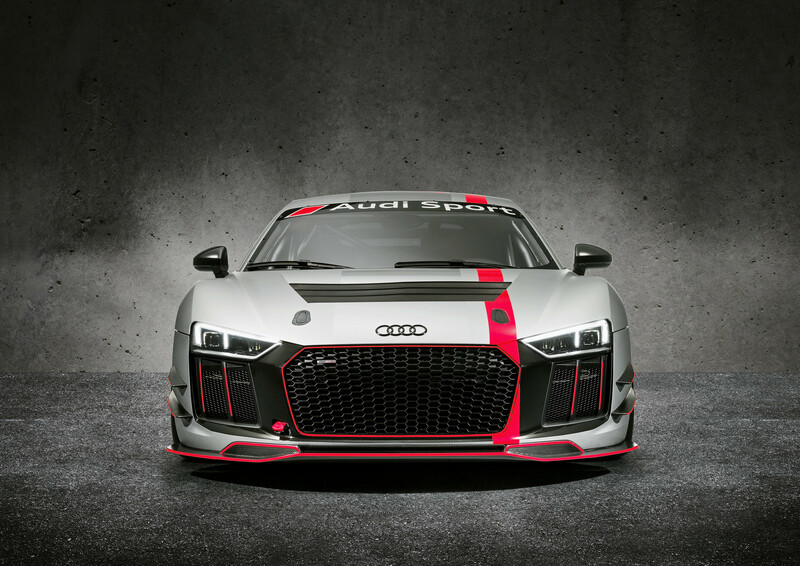 The new Audi R8 LMS GT4 which complements Audi Sport customer racing’s offering by a third model range can now be ordered on four continents. Dream weekend on Phillip Island: Matthew Stoupas won all three races in the finale of the Victorian State Circuit Racing Championships in Australia. At the fifth racing event, the Australian in his Audi R8 LMS ultra not only remained unbeaten on the circuit of Phillip Island, but also in the Sports Cars Championship. As a result, Stoupas has been confirmed as the driver succeeding Steven McLaughlan who had decided the racing series in the Australian state of Victoria in an Audi R8 LMS ultra in his favor last year. Ross Lilley completed the successful weekend of the Audi Sport customers with a second place in both the first and third race. One-two win on South Island: Team International Motorsport in round two of the South Island Endurance Series in New Zealand celebrated a one-two victory. At Mike Pero Motorsport Park in Ruapuna, Lyall Williamson’s squad fielded the second generation of the Audi R8 LMS for the first time. Andrew Bagnall/Matt Halliday won the three-hour race in this car in front of their teammates Neil Foster/Jonny Reid who drove a first-generation Audi R8 LMS ultra. Positive season finale at Barcelona: Belgian Audi Club Team WRT finished the season in the Blancpain GT Series Endurance Cup with a second place in Spain. The two Britons Stuart Leonard and Jake Dennis shared an Audi R8 LMS with the Dutch Audi Sport campaigner Robin Frijns. The trio battled for victory up until the last turn and after three hours of racing at Barcelona had to admit defeat by merely 0.719 seconds. Suspense before season finale: On October 14, the title race in the Audi Sport TT Cup will be decided at Hockenheim. Following four victories, three second and two third places, Philip Ellis is in the top spot. The Briton has a 24-point advantage over the Spaniard Mikel Azcona who has won five races. A total of 50 points can still be scored in the two races. Ranked in third place of the overall standings, Tommaso Mosca is the best rookie in the field. In the classification for newcomers, the 17-year-old Italian has a 44-point advantage over the South African Keagan Masters, so practically being out of reach. From a purely mathematical point of view Mosca, with a 39-point deficit, still has a chance of winning the title in the overall classification as well.